In Peninsular Malaysia, Sabah and Sarawak, there are approximately 100 indigenous languages spoken by the indigenous ethnics. Of these, 20 languages are spoken by the aborigines, or “Orang Asli” in Peninsular Malaysia. They are also known as Bumiputera (literally translated as ‘son of the land’). In Sarawak, in addition to the Malay language, Iban is the sole most widely spoken language by the natives of Sarawak. Iban is used as a lingua franca among the Sarawak communities. Surprisingly, the language is even widely spoken by the non-Ibans, whereas in Sabah, out of some 55 indigenous languages spoken, the main languages spoken are Dusunic and Kadazan. There are also more than 80 dialects used by the various ethnicities in Sabah! Remarkably, both the Iban and Kadazan-Dusun languages are officially taught in schools in Sabah and Sarawak. English and Mandarin are also extensively spoken among the natives of both states. However, keep in mind that Malay is still the principal language. Many Malaysians, especially Muslims, also speak the Arabic language. Why? Because Arabic is the language of the Quran (holy book of Islam) and the Muslims are encouraged to learn Arabic to enable them to read the Quranic verses and understand Islam as a whole. To this effect, a number of Arabic schools and higher learning institutions were established in Malaysia. 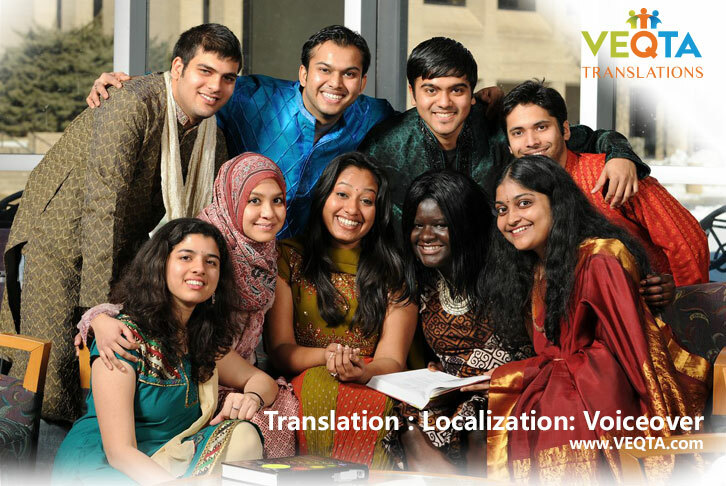 In view of the variety of ethnicities and languages in Malaysia, it is especially necessary to deliver information or instruction in the native language, as some people are only literate in their own native language or have very little literacy about the source language. The written target language text will benefit both the provider and the recipient alike. What is more, a plethora of information sources including books, academic journals and encyclopedias are available in Western languages, such as English, German, French, Italian, Spanish and many more. Nearly all Malays are bilingual and are able to speak Malay and English. While Chinese and Indians are multilingual and can speak at least three languages, one of which is their native language. Many Malays of Chinese ethnicity are fluent in Mandarin or can speak some and they are able to speak English and Malay as well as their native Chinese language as spoken by their parents, while some parents only speak Mandarin to their children at home. English is widely used in business correspondence in Malaysia, and students in school need to sit examinations based on British English. Some Malays are only fluent in the ‘Manglish’ form which has influences from Malay, Chinese and Tamil. On occasion it may be justified to translate English to Manglish to reach particular target audiences or for Manglish voice-over recordings, but in general its use is actually discouraged by the Malay Government as it’s not proper English. Manglish is Malaysia’s home-grown brand of English which is English spoken in our own native language slang. Manglish is also commonly known as “Bahasa Rojak” (Rojak language). For example, “I don’t like durian lah!”. Here, lah! is used to affirm a statement. “She’s slim already” is Manglish that uses the term “already” to mean “now”. Anyway, one must take note that Manglish is not recognized as an official language or norm. Apart from Malay and English, other major languages spoken and written in Malaysia are Mandarin (Simplified Chinese) and Tamil. Although Chinese speak in many different dialects, Mandarin is more popular among the Malaysian Chinese as it is the official medium of instruction in “national-type” schools or “Sekolah Kebangsaan Jenis Cina”. Among the Malaysian Indians, Tamil is the most spoken dialect, but other dialects are also actively used by different Indian origins. Tamil forms the majority of all indian accents and is one of the oldest ancient languages in the world.